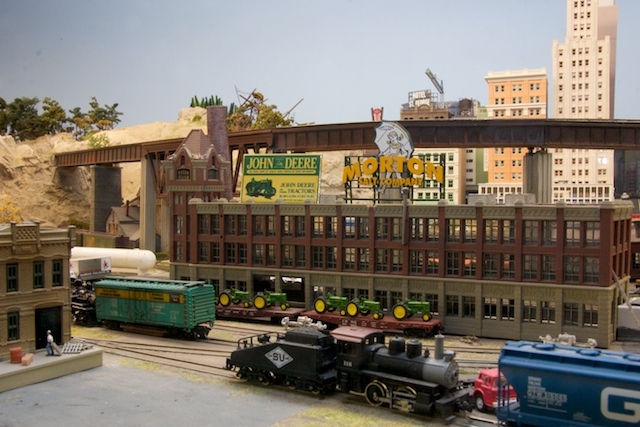 One of the things the members of the Club always enjoy is visiting other modelers' layouts. 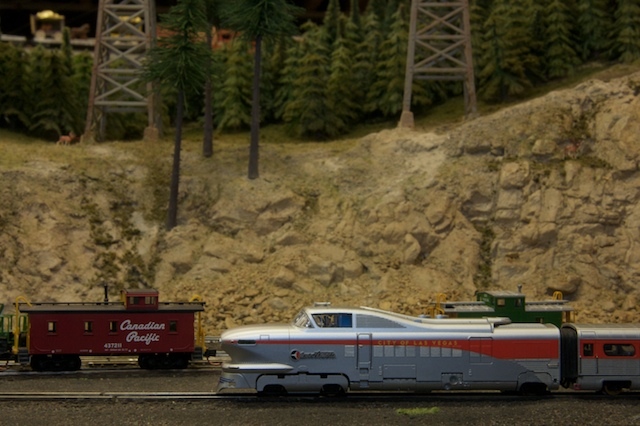 One of our favorites is Rick Spano's Scenic & Undecided Railway. 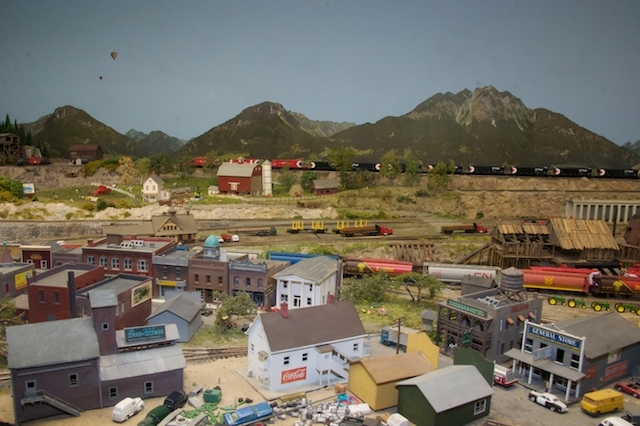 It is a large 'N' scale layout. The modeling is excelent but that is only part of the story. Rick has filled his layout with great scenes, but it is his animation that really sets it apart. 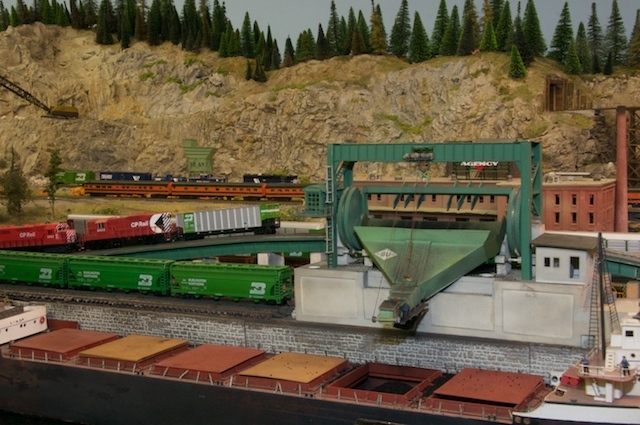 From his operating coal dumper to his his stone quarry crane that you use to load flat cars, his layout is alot of fun. Of course we had to bring dinner from Frank's in Asbury Park. 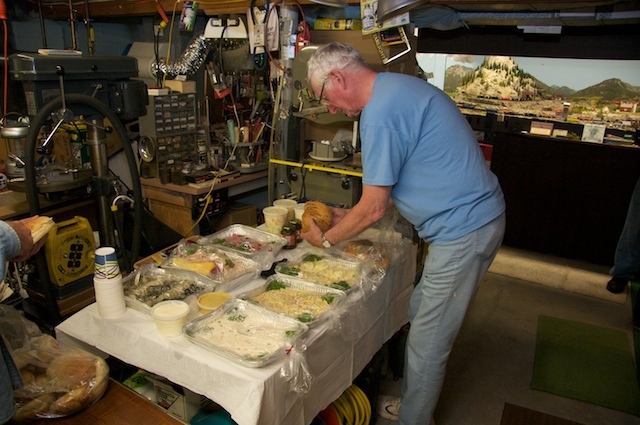 Here Bob Judge sets out the buffet. 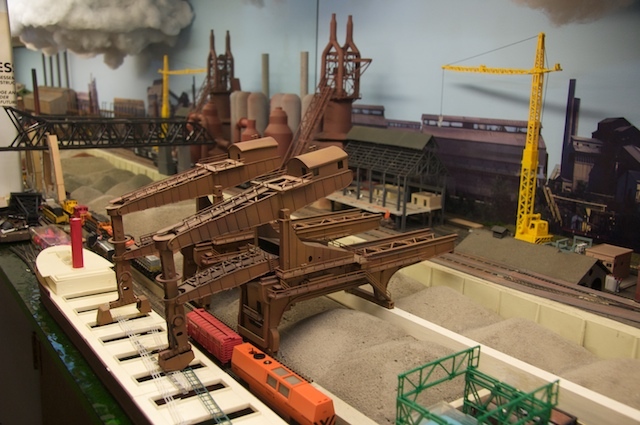 This is a shot of the scratch built Hulett unloaderws on the new section of the railroad. 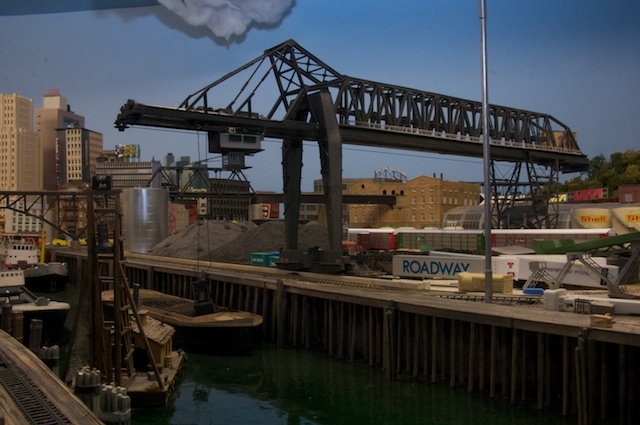 This operating crane allows you to load or unload the ship. 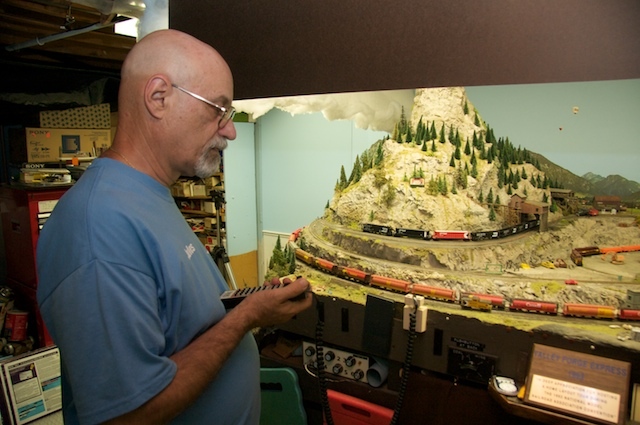 Rick's rotary coal dumper works just like the real thing. 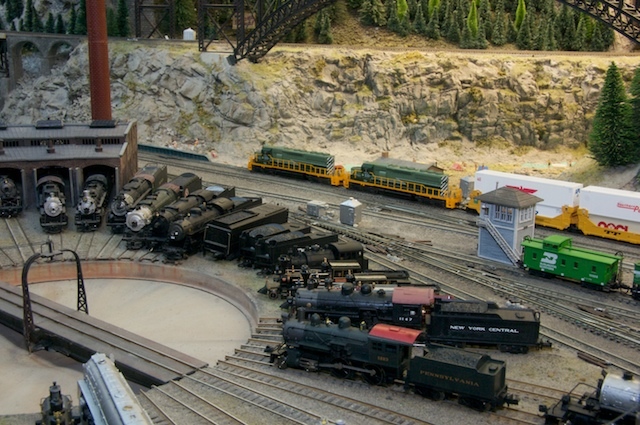 The roundhouse and turntable filled with 'N' scale locomotives. 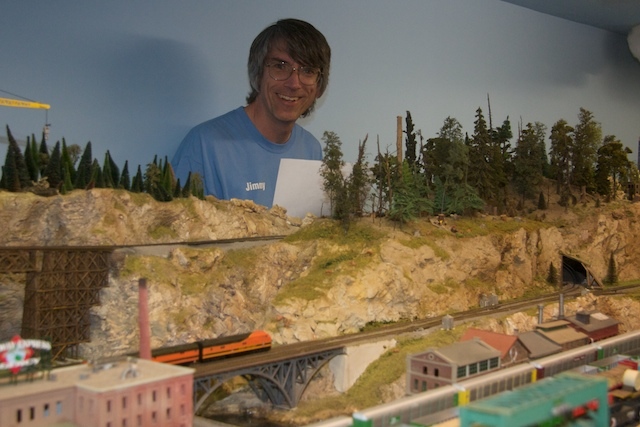 Jim Judge standing behind the main part of layout at Hyde Yard. Rick has joined Jim at Hyde Yard. 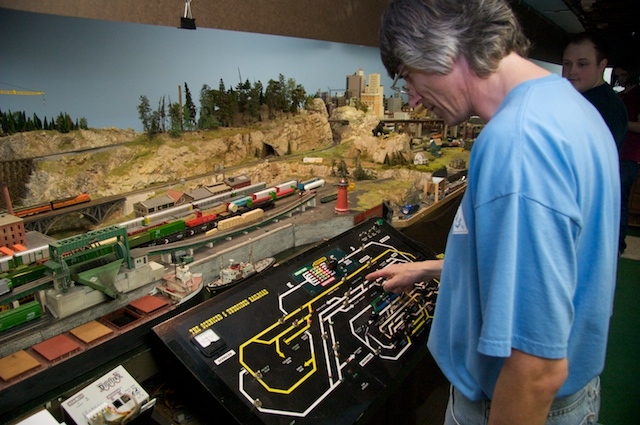 Jules Heiliczer operating a grain train. Jim Judge routing trains. Bill Brown checking the operating schedule.